The Libbey 5355 beer stein is not quite 5 inches tall, but can hold 191⁄4 ounces in its compact design. 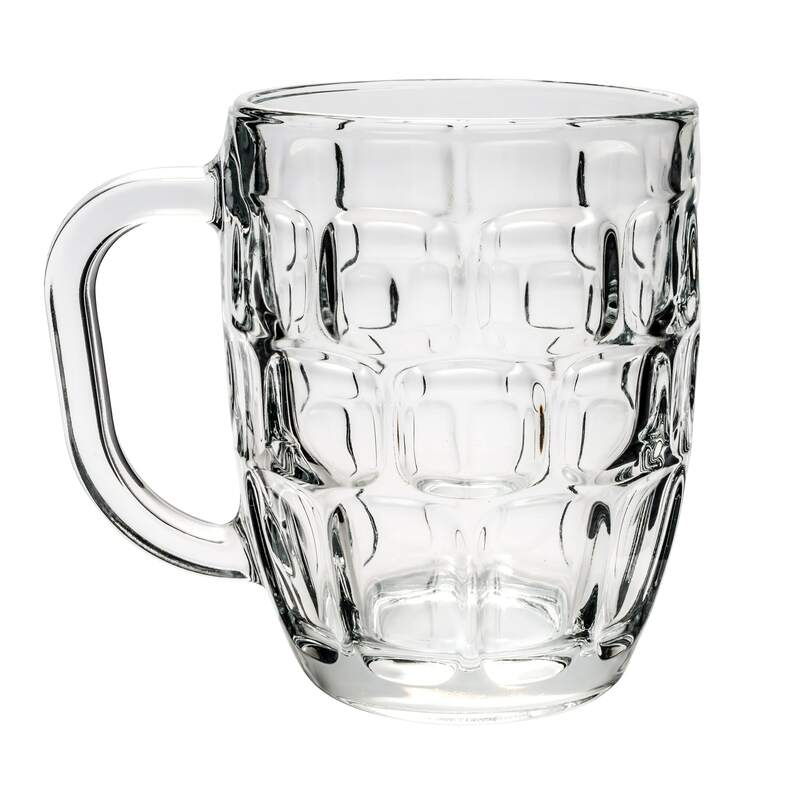 This stein is round and features large indentions, which adds aesthetic appeal and makes the surface easy to grip. The textured pattern ends below the rim of the glass to make drinking simple and comfortable. The clear glass shows off any drink served in the mug and the handle makes it easy to lift and control. 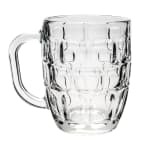 The dimpled beer stein is dishwasher safe, making it easy to keep clean in busy bars and commercial kitchens. The glass can add an interesting look to any bar or restaurant's glass service, and with its large capacity, it gives your bartenders the opportunity to upsell and also prevents them from having to refill drinks too often. Overall Dimensions: 47⁄8 in. H x 35⁄8 in. top dia. x 23⁄4 in. bottom dia. x 53⁄8 in. max dia. "This order was handled perfectly no issues, fast shipping The glass came in with a scratch Do business with these guys!" "I used these for an engagement party where I was serving different types of craft beer. I let guests take them home as party favors"
This order was handled perfectly no issues, fast shipping!